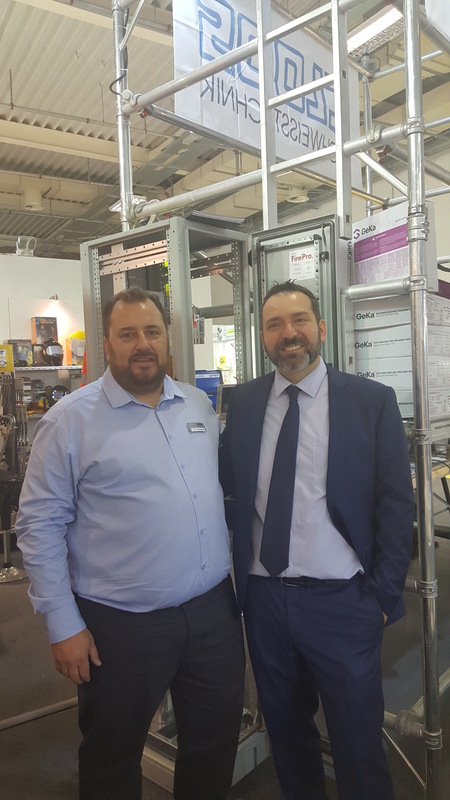 FirePro Hellas, along with partner “HEC AGGELIDIS S.A.” participated in this year’s Metal and Machinery Exhibition, which took place between 9th and 11th November at the Metropolitan Exhibition Center in Athens, Greece. Following a 10-year absence, the 3-day exhibition of metal working machinery and technology and industrial equipment returned to Greece. 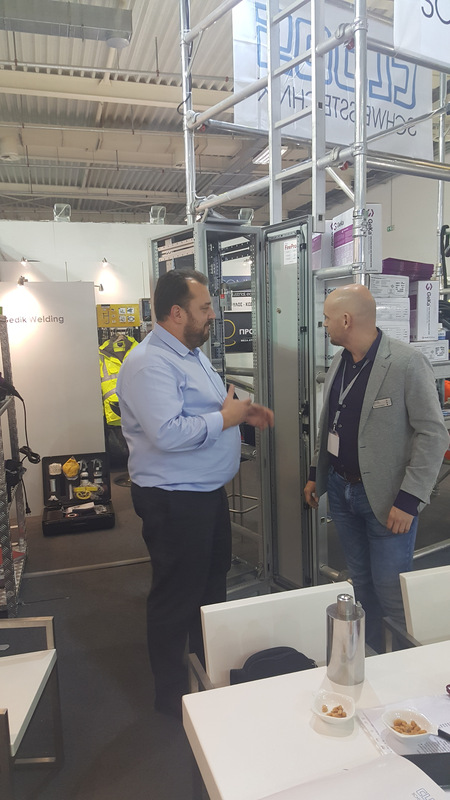 It is organized by ROTA S.A. and T EXPO, with the support of the Hellenic Association of trading companies, manufacturers of metalworking, cutting and welding machines. HEC AGGELIDES S.A., established in 1947, is one of the leading Greek manufacturers of high quality electrical switchboards, cable trays, as well as electrical equipment used in interior and exterior domestic and industrial applications. It has adopted the FirePro technology with the aim of forging a mutually beneficial synergy that will allow the company to deliver to its partners the best fire protection and extinguishing systems for electrical panels. Throughout the exhibition, Mr. Demetris Tassopoulos, Owner and General Director of HEC AGGELIDIS S.A., along with FirePro Hellas General Manager, Mr. Nikolaos Argyropoulos, presented the unique advantages of the FirePro FPC4R fire detection and extinguishing system to an audience of Technical Managers and Health & Safety Engineers. This and other similar FirePro systems are the preferred choice thanks to their combination of flexibility, adaptability, modularity and affordability in protecting critical electrical panels. They are utilized in the most prestigious industries across Greece, including DEI, ELVAL, HACLOR, SYMETAL, Coca Cola, Druckfarben, Famar, EVGA, Mediastrom, KARELIAS, Green Cola, Bitros, Trofinco, Theoni Water, and others. The FPC4R ignition module for Non-Pressurized Condensed Aerosol Generators also holds a KIWA Declaration of Conformity based on the requirements § 4.4.2 § 4.4.3 and § 7.15 of CEN/TR 15276-1 Aerosol Standard, making it the only Aerosol Certified Fire Detection and Extinguishing System in the world. FirePro Hellas S.A. extends its gratitude to Mr. Demetris Tassopoulos and his associates for their outstanding hospitality, their support and enthusiasm for the FirePro Brand and Technology. Furthermore, their continuous efforts and commitment to bring FirePro technology to the Electrical Panels market in Greece is recognised and appreciated by FirePro Systems.